First thing I noticed about Josiah is he was taller than me. I learned he was studying film at Liberty University. Josiah was also pretty quiet. He was a listener. We sat and talked about his subject for a while. The hardest part in the beginning for Josiah was finding the storyline thread that he wanted to tell. He was asking great questions, but each question was making the story broader and not more focused. After he did his first interview I went with Josiah on the second interview. He did a great job. He was able to help the couple focus on how what the seminary had meant to their ministry. One of the difficulties perplexing not just Josiah, but me as well, was getting our heads around the way Lucho and Rosa talked about their ministry. Josiah dug a little deeper by asking follow-up questions like tell me how that felt when you went through that time. 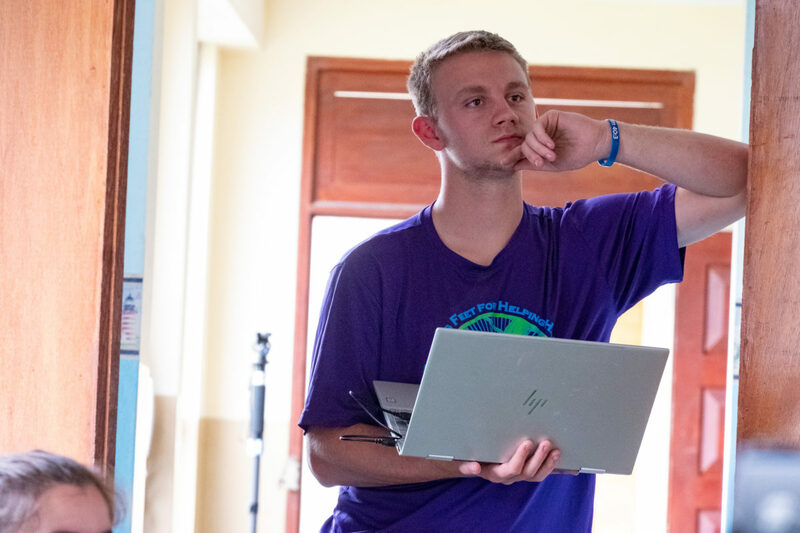 If you want to learn how to have an experience like Josiah in storytelling workshop please consider joining us this June in Romania with Storytellers Abroad.